Bernard O'Neill - Bozas International Ltd.
Bernard comes from one of Dublin’s prominent musical families. He studied piano, cello and composition at the Royal Academy of Music but is more famous as a session double bassist with over 2000 recordings under his credited with the likes of Rufus Wainwright, Sinead O’Connor, Donovan , Natacha Atlas and Jeff Buckley. He is a signed artist with Realworld Records and has for many years been associated with many of their artists including his own project Syriana. 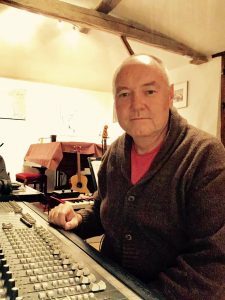 Bernard’s main speciality in the world music sphere is the middle east but his roots as a contemporary classical composer also means he has a strong output of Avant Garde and Serial music, including electronic music and contemporary acoustic ensembles. Bernard is based in the south of France where his studio is installed in a 12th century barn. His proximity to Toulouse allows him to avail of top international musicians based there in the Orchestre du Capitole.